The Mansa Devi temple is built in the foothills of the Shivalik Range in the Village of Bilaspur in the Panchkula District of Haryana. It was built during 1811-1815 by Sh. Karam Singh, the then Maharaja of Patiala. Two temples are located in the Mansa Devi complex and are mainly worshipped in their ‘pindi’ or pebble form. The Mansa Devi in the main sanctorum is worshipped along with Goddess Lakshmi and Goddess Saraswati. The other form of worship is anthropomorphic form on marble. Earlier only the pindis were worshipped by the pilgrims but in recent times a beautiful marble idol is established with ornaments and crown. The surprising fact is that unlike other Shivalik Temples that follow the Nagara Style of architecture with spiral designs, this temple follows a very traditional Mughal Style of architecture with beautiful domes and minarets. This type of design is also called the Panchayatana design with four minarets with domes at four sides and the main temple with the big dome at the center which forms the fifth. The Mansa Devi Temple is not only a pilgrimage place but also an example of the fine traditional art style of that era. The murals and paintings are stunning. This not only depicts that of Mansa Devi but includes scenes from Ramayana, paintings of Goddess Durga, Lord Shiva, Navaratnas, Nakshatras and Lord Krishna as well. Foot wear is not allowed inside. Photography in the temple is restricted. There are donation boxes for you to drop your donations. Do maintain the queue here and do not rush. How popular is Mata Mansa Devi Mandir? People normally club together Sukhna Lake and The Rock Garden Of Chandigarh while planning their visit to Mata Mansa Devi Mandir. After paying obeisance at Mata Mansa Devi Temple you will feel energetic, enthusiastic, devotional and full of serenity. The positive aura here will remove all your troubles. You will be blessed after coming here. Jay Mata Di. We visited a historical temple in our Chandigarh trip. You'll love to surrender your all griefs here. You'll see artworks also on temple's wall. Very nice place. Very peaceful. Love this place. Everyone must visit this place. Historical, cultural,sacred place. Feeling blessed after visiting this temple. Be aware of snatchers and thiefs as this place always crowded. 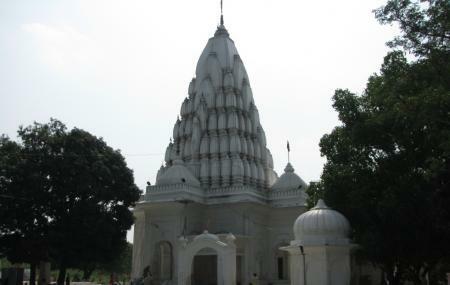 This historic temple is situated just next to MANIMAJRA in Chandigarh. From here one can travel by bus or auto rickshaws or own Vehicle. The. Bus service is too cheaper. I also got chances to visit this holy temple twice. Once in October 2018 and once in April 2018. There is a beautiful market at the entrance. People may buy things from here for POOJA in temple.